We Want To Help Dublin Homeowners! Plain and simple, our mission is to help local homeowners who want to sell their homes quickly and for a great price! Our process is fast and simple. We answer all of your questions along the way, and are completely transparent in how we create our offers! You have choices when selling your Dublin home! Let’s review your options together so you can make the best choice for your situation! Before you put your property on the market, call us first! There is NEVER any hassle or obligation! However you choose to sell, you can be assured we will never hassle you or resort to high-pressure sales. That’s not what we are about! Sometimes a direct sale can be more lucrative and beneficial… find out if it will be for you! You won’t have to pay anything towards repairs or upgrades. We buy as-is, no changes needed. You will know exactly how much you are getting and when. You don’t have to gamble with the sale price or closing date. There is No Risk or Obligation! What are you waiting for? Get an offer today! Even if you don’t sell to us, we are happy to help you with any questions and provide market information! We want to help Dublin residents make smart decisions when selling properties they own. Since 2012, Sell House Columbus has been purchasing homes in Dublin and the surrounding areas. 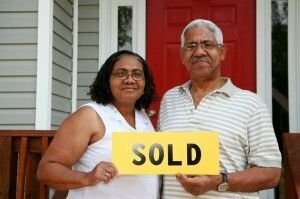 We have helped hundreds of happy sellers! Find out what we can do for you! There is no hassle or obligation. We want to make you a great offer and provide you with a fast and seamless transaction! You can count on us to be straightforward and direct throughout the entire process. We can explain our offer making methodology, and answer every question you have. When we say we buy “as-is” we mean it. We don’t want you to sink a dime into making repairs or upgrades to the house. Nor do you need to spend time cleaning. We will take care of everything, and pay you directly in 7 days! Every situation is unique, and we understand that. What is right for some, isn’t right for all. A listing can cost more time and money than people are prepared for. Always know what to expect going into any transaction. When you choose a direct sale, the final sale price might be lower than retail, but what you save on commissions, repairs, bills and closing costs can rack up into the thousands! You have options! You can sell your house on your own, and save money and time! What could you be doing next week with all that extra cash? Sell House Columbus wants to make you a no-hassle, no-obligation offer on your Dublin house! We don’t care about the condition, time frame or situation you are in! We can help!